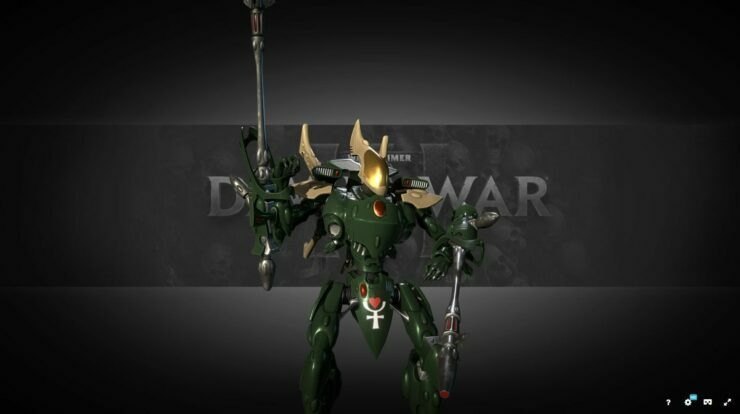 Dawn of War III was announced almost half a year ago now. It’s surprising when you look at how time flies. What has been announced is that the game will have Super Units. Huge, they tower over any previous unit in the series. The first has been revealed since that launch, this being Imperial Knight Solaria. Now, the Eldar have revealed their counterpart: the Wraithknight. 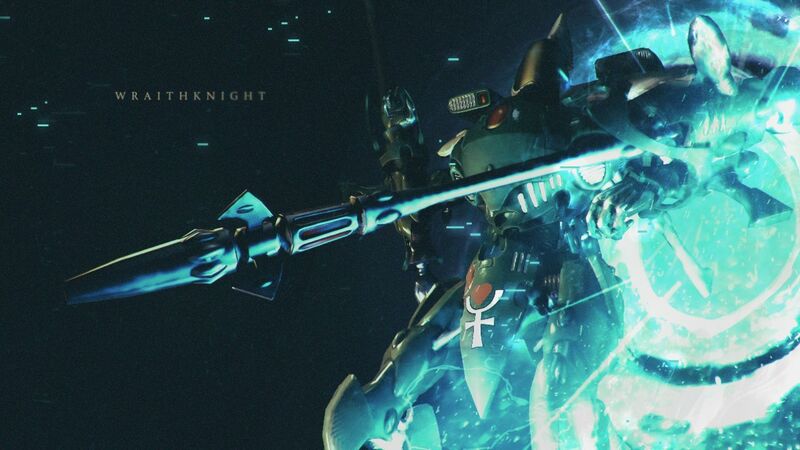 Having recently used Imperial Knight Solaria during a hands-on session at EGX, I can only imagine how powerful and genuinely how big the Wraightknight will be. Solaria loomed over the battlefield. Slow, but insanely powerful. Abilities that could clear literal armies. My time with her and the rest of the space marines will be covered shortly. So what is the Wraithknight? Made from wraithbone, the Wraithknight is much more agile than Solaria. Still monstrous in size, it is armed with two giant cannons that leaves it far more suitable for combat at a distance. Its abilities contribute to this specialty, having a focused beam attack to do devastating damage, as well as a distortion rift to slow down enemy units. Not to mention the ability to escape a group of enemies with the ability to jump. Like other Eldar units in Dawn of War III, the Wraithknight on battle focus and a health shield, to withstand damage in combat. Weak against melee units, as they can tie it up in battle provided the jump ability is currently on cooldown. The Wraithknight will find itself best used in combination with other units that protect it and distract the enemy, letting it focus fire and deal devastating damage. The Wraithknight jumps to a position. After landing, the Wraithknight will continue to slide forward for a distance, gaining increased weapon fire rate. The Wraithknight creates a distortion rift at a target position. The rift expands in a radius over time, pulling enemy infantry into it. Vehicles hit are slowed. Fires a broad, long-range energy beam that deals damage to all enemies in a direction.